STS-Italia, the Italian Society of Science and Technology Studies and the Department of Political Sciences of the University of Pisa organize the 5th Summer School Expertise at stake: technoscience and public participation in the post-truth age, to be held in Pisa, on 1-5 July 2019. 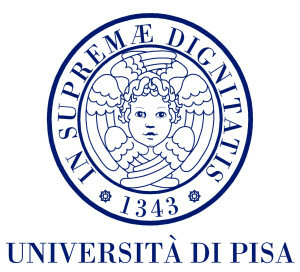 All the activities of the Summer School will be held at the Department of Political Science, Via Filippo Serafini, 3, in the very city center of Pisa. Science, technology and related expertise have taken an increasingly prominent role in society. Public unease with and controversy over the way science and technology progress and expertise is applied to address societal needs, expectations and demands have however grown proportionally. Institutions such as the European Union have recognised this as a major question, leading to what has been sometimes depicted as a crisis of trust in science and, more recently, a crisis of rationality in addressing public issues. A number of theoretical frameworks and approaches have been developed along the years. Though these may differ considerably as to how the origin of the problem is diagnosed and the answer is conceived, there is a widespread agreement that any simplistic view of the interface between science and society is to be abandoned, and that more inclusive approaches have to be worked out. As a result, there has been a vast increase in awareness, conceptual frameworks, tools and skills in communicating science, gauging public responses and involving people in science-related policy-making. Yet, public issues (re)emerge continually as science, innovation and industrial policies proceed, challenging the capacity to fruitfully apply scientific expertise in a socially unsettled context. March 30th, 2019 // Applications deadline. April 19th, 2019 // Confirmation of the school, notification for participation and for scholarship eligibility. May 11th, 2019 // Registration deadline. For further details, costs, scholarship and how to apply read the extended PDF call.